View all 20 versions of Bizarro on BTVA. Listen to all the actors who have voiced Bizarro and vote for your favorite. Shows: Super Friends: The Lost Episodes, Legends of Tomorrow, DC Super Friends. 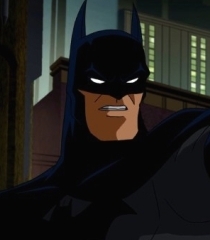 Movies: Justice League: Gods and Monsters, Justice League: Throne of Atlantis, Justice League The New Frontier. Games: Young Justice: Legacy, Injustice 2, LEGO DC Super-Villains. Shorts: DC Showcase: The Spectre, DC Super Pets, DC Super Hero Girls: Super Shorts.